This morning I blogged about how The Church ™ so often fail to engage with people in the age bracket 20-40. Statistically The Church ™ is not good with people in this age group. A small group of us met to discuss how we could connect people to the ongoing story of God without worrying particularly about The Church ™ side of things. For lots of people it can feel like engaging with The Church ™ is a bit like jumping on a moving train whereas there is often an openness to “faith”. Whilst we were discussing how to do this through online content I had an epiphany that starts at a bit of a tangent. I have been designing the new website for our church, Holy Nativity. When stuck in the car for 5 hours Ruth and I were discussing content for it. The essential information began to come together but we kept dreaming up epic descriptions and justifications to add to each page. A description of “morning prayer” began a conversation about “why we pray, what we pray, how we pray”…. “Why are we putting this on the website? It feels more like we’re putting it up to justify ourselves to other Christians in the area rather than for people who are just discovering us for the first time. We seem to be saying that we are ‘sound’”. You have been to websites dear reader. How many times do you find opening phrases like “we are a bible believing church…” or other long phrases in christianese and jargon? Perhaps the front page has giant lettering of Revd Kirk’s bold statement: “Our ongoing mission to make disciples of Christ where no one has made disciples of Christ before”. Things that are purely designed to show how ‘sound’ we are to the other Christians. We probably don’t even realise we are doing it. And it doesn’t matter which particular flavour of “sound” we are – just so long as other Christians know it! “We are a forward in mission shaped, biblically based, congregation of the Father’s heart”. As I recounted this to our small gathering I searched the annals of my mind for content I’ve encountered that is purely for engaging people outside of The Church ™ with God’s story. Surely there must be some good straightforward online content for people of no faith background that invites us and our modern context to engage with Jesus life and this strange thing we call ‘faith’. I couldn’t think of anything. When we engage, we tend to engage with each other. 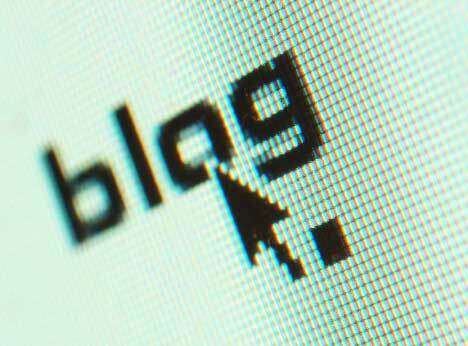 Christian Leaders blogging for other Christian leaders. Pontificating for the approval of our peers. Vicars blogging for other vicars to show how good we are at being vicars. Heck, I’m doing it right now. You dear reader, YES YOU! : if you have got this far you are a Christian leader of some shape or form or you are very strange indeed. I mean, why would anyone else read this content? It’s a vicar talking about vicaring. When I reflect on what I have written, I have written stuff for other Christians. I talk about engaging with people outside of the church but what I write is in essence an instruction manual or theological reflection for other leaders. OK, probably 90%. But it is not all doom and gloom!! Whilst this epiphany took place during our meeting, we did look at how we can buck the trend and create meaningful encounters for people online. In the next few weeks I will ask you for your help to bring the story of God to life in the modern world. I guess I must be “very strange indeed” then. But I am in the role of communication for a minority activity that offers tremendous physical and psychological benefits to followers of ‘the way’ – so do understand something of the problems of building a website to bring people into the fold. 3. AIDA – Attention, interest, desire, action. By the time they are on your site they are already at the cash register – without promotion, word of mouth, external advertising – there will be noone to pick up on nuances the Point of sale advertising. Not specifically telling you this – you have a well developed public brand, but the dialogue between leaders of all stripes is either constructive or a pleasant distraction. Thanks for your insight Julz. I’ll have a think about that. At my inner core I rail when I hear the word marketing in proximity to God. It is incongruous. The churches that do marketing are not usually places I’d like to be. Thanks for blog. In Romania with lots of non Christians – engaging with them!!!!! Look forward to helping you !! !